Our naturalists are on each trip to make your voyage a memorable one for years to come. If you’ve been with us on previous excursions then you know that each voyage is unique not only with the marine life you’ll encounter but also with our naturalists. Each one of our naturalists participate in a yearly training program that explores the ever changing marine habitat we visit daily. During this program presentations are given by scientist, naturalist, government officials and other parties that will help with the growth and understanding of the habitat. As we explore the how’s, what’s and why’s of the environment we visit, we start to understand the affects of each intricate piece of the puzzle that plays a part in this delicate habitat. We feel that it is an important factor to continue to look at our surroundings, expand our knowledge and pass it on to the passengers that visit us on each trip. Dr. Carlson passed away in the spring of 2017 and will be deeply missed by all who shared her vision of well being of the ocean and it’s beauty. Carol was the backbone of Dolphin Fleet’s science and Education department for many years and will be missed by all that knew her. Dr. Carlson had been a naturalist on board the Dolphin Fleet since 1979. She was the director of the Dolphin Fleet’s Research and Education Program and a Research Associate at the College of the Atlantic (COA), Bar Harbor, Maine. COA curates the North Atlantic Humpback Whale and Antarctic Humpback Whale catalogues. Her work and that of Dr. Stormy Mayo on humpback whale photo-identification at the Center for Coastal Studies was the inspiration for the PBS series “The Voyage of the Mimi”. She has spent over twenty-six years studying cetaceans off the east coast of the United States, Puerto Rico, Brazil, Chile, the Dominican Republic and the Eastern Caribbean and is an acknowledged world expert on photo-identification techniques, humpback whales and whale watching. Dr. Carlson served on the Whale watch Sub-Committee of the International Whaling Commission and has organized and conducted several international whale-watching workshops. The workshops promote responsible whale watching as a viable ecological and economical alternative to whaling by assisting in: the development of national regulations and/or guidelines throughout the world; the development of education and scientific programs associated with whale-watching platforms; the organization of training programs for operators and tour guides; and the development of ‘floating classrooms’ on local whale-watch vessels. Her marine education work in the Caribbean has touched over twenty thousand schoolchildren and their teachers, and she has trained college interns to collect scientific data in the region. Dr. Carlson has authored scientific papers as well as education materials for distribution in the United States, the Caribbean islands and South America. Alex is the Director of Research and Education for Dolphin Fleet Whale Watch and an adjunct scientist at Center for Coastal Studies. Alex’s career as a biologist began as an intern with Whale and Dolphin Conservation in 2007. Alex has focused on photo-identification in much of her research over the years working with North Pacific humpback whales in Hawaii, manatees with Florida Fish and Wildlife Conservation Commission, Southern Resident killer whales in the San Juan Islands, and Gulf of Maine humpback whales. Alex received her master’s degree from College of the Atlantic in Bar Harbor, Maine. Her master’s thesis focused on vessel collision injuries on humpback whales in the Gulf of Maine; research which continues to be an ongoing effort to quantify and bring awareness to vessel strikes in the Gulf of Maine. 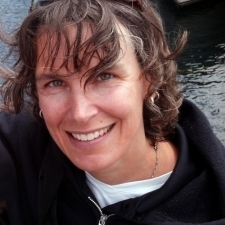 Alex also serves as a technical adviser on the Sanctuary Advisory Council’s Working Group for Small Boat Interactions and on the advisory board for Whale and Dolphin Conservation in Plymouth, MA. John C. Conlon holds a B.S. in biology with a minor in environmental science from Stonehill College. He presently works for the Dolphin Fleet as a mate, field guide and researcher specializing in individual fin whale recognition and using that to better understand their presence in the Stellwagen Bank region. He is particularly interested in seabirds. Between 2001 through 2011 John worked as a guide for Baja Expeditions hosting week-long whale watch trips in Baja California Sur, Mexico. Trips focused on whales, sea lions, pelagic birds, reptiles, and the geology and palaeontology of the Gulf of California. He holds a guest lecturing position for the Hel Marine Station, of the University of Gdansk, Poland. Lectures focus on whales and conservation concerns for the whales occasionally found off Poland’s coast. John’s career includes: nine years conducting environmental monitoring / impact research at the Provincetown Center for Coastal Studies, 22 years as a guide for Portuguese Princess Exc., a 100 gross ton merchant marine license, and he has worked as a guide in the Florida Everglades and for trips to view polar bears in Churchill, on western Hudson Bay, Canada. John has published two books. RAZORBACK: A Natural History of the Finback Whale and IN THE GIANT’S SHADOW: Reflections on Finback Whales, Southwestern Gulf of California and Adjacent Baja California Sur. John’s writing continues and includes annual sighting reports of the Dolphin Fleet’s fin whales. Mark arrived on Cape Cod in 1982 for a summer internship in whale research with the Center for Coastal Studies (CCS) in Provincetown MA. He never left, but instead began a career working as a whale watch naturalist and research assistant at the Center. During his twenty five years with CCS he was one of the original members of the Centers North Atlantic Right Whale research team and an assistant in humpback whale rescues for the first successful whale disentanglements while working with Dr. Charles “Stormy” Mayo and Dave Matilla. Mark holds a BA and MAT in Biology, and teaches Biology, Marine Biology, Environmental Technology, and Ecology at Sandwich High School and STEM Academy. Aside from his dedication to marine science, Mark is a marine artist and his work includes the Dolphin Fleets humpback whale mother and calf logo, the humpback whale fluke and striped bass logo of Sea Salt whale watch charters, and the “Three Whale” T shirt design still used for fund raising by the Center for Coastal Studies. Mark believes the work of this organization and others like it, including the research team of the Dolphin Fleet and WDC, The Whale and Dolphin Conservation (Society), have been instrumental in forming and increasing public awareness concerning the value and protection of all ocean resources. Mark lives in Brewster with his wife Lucy, an early childhood educator, and his two sons, Keegan and Kyle, both currently pursuing degrees in biology and art. Dennis Minsky’s career as a field biologist began on Cape Cod in 1974, at Cape Cod National Seashore, where he assisted in the development and execution of a program of research and protection for nesting seabirds. He continued his involvement in the Park Service with a season (1979) of work with the South Florida Research Center, conducting faunal and floral inventories and fire ecology studies in Everglades National Park and the Big Cypress Preserve and doing some census work in Florida Bay and the Florida Keys. 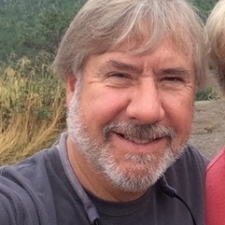 In 1980 he moved to southern California, where he was engaged in coastal and marine surveys and studies for various state and federal agencies from Santa Barbara to Baja California, and also earned a master’s degree in Biology. In 1985 he began developing and teaching a program of Environmental Science at a middle school in New Jersey, with an emphasis on the Hudson River ecosystem; he continued this for 20 years. Beginning in 2008 he returned to a seasonal position with the Park Service, working with shorebirds and terns. Minsky first was associated with the Dolphin Fleet Whale Watch and the Provincetown Center for Coastal Studies in 1995, and has been educating people about whales and the ocean ecosystem ever since. He has been a resident of Provincetown since 1968 and returned fulltime in 2005. Since then he has been active in the Provincetown Conservation Commission, the Open Space Committee (currently the chair of both), the Community Preservation Committee, the Local Comprehensive Plan Committee, and the Provincetown Conservation Trust. Carolyn O’Connor holds a bachelor’s degree in Environmental Studies from Framingham State University. She first started working as a Naturalist for the Dolphin Fleet in 2014, after interning for the Center for Coastal Studies’ Humpback Whale Program. Carolyn spends her winters in Georgia working as a Right Whale Aerial Observer for Sea to Shore Alliance and in her spare time, deploys as a volunteer responder for the ASPCA’s Field Investigations and Response Team. Nancy has been employed as a naturalist on the Dolphin Fleet Whale Watch boats since 1996. Her commitment to working with animals and educating the public about them started at an early age. Nancy volunteered hundreds of hours to the New England Aquarium and was part of the team that successfully rescued, rehabilitated and released three pilot whales that stranded on Cape Cod in 1986. Nancy has a degree in biology from Palm Beach Atlantic College and worked for Sea World training bottlenose dolphins and California sea lions. At Mystic Marinelife Aquarium in Conn. she cared for and trained Steller Sea Lions and Beluga whales while educating people of all ages. After marrying and relocating to Cape Cod, Nancy joined the Provincetown Center for Coastal Studies aboard the Dolphin Fleet to continue her work with marine mammals as a scientist and educator. During this time she earned a Master’s degree in education and has been a high school science teacher on Cape Cod since 1998. Nancy also owns and operates a local bed and breakfast with her husband. 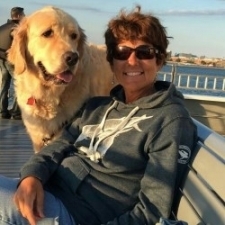 More recently, Nancy has used her naturalist skills to author a book published in 2014 entitled The Adventurous Life of a Cape Cod Dog, A Curious Canine’s Exploration of the Cape’s Natural History. Although Nancy admits to missing the one on one contact with the animals that she had experienced in the past, working on the whale watch boats has been most rewarding. “Being on the ocean and experiencing the whales in their natural environment is a thrill! Collecting data that contributes to our understanding of them, their habitat, and our impact on them, and then sharing that knowledge with the public and our government, ultimately leads to a better means of protecting them and the world we share. Thérèse Provenzano, Doctors of Education and Musical Arts, earned undergraduate honors degrees in her majors of Biology, Music, English, and Education from Brandeis University; Master of Music degrees with high honors in both Music Education/ Conducting and Piano Performance and Masters in Biology with high honors from the University of Michigan; and the Doctor of Education and Musical Arts degree from Boston University. She spent numerous summers off the coast of San Juan island studying the habitat and behavior of resident Orcas and is a volunteer for the Cape Cod stranding network. 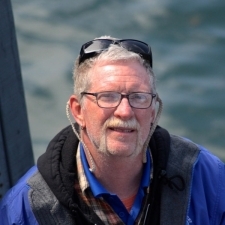 Dr. Provenzano worked as a volunteer and naturalist assistant before becoming a naturalist with the Provincetown Center for Coastal Studies aboard the Dolphin Fleet since 1985. She is currently employed by the Weston Public Schools and Boston University and also works with the rehabilitation of injured wild animals at Wild Care in Eastham.